Jean Marais was a dream figure. An absolute hero. Americans had Kirk Douglas or Burt Lancaster, with whom to learn about history through westerns or peplums, we had a gay perfect blond male to learn about our history through swashbuckling adaptations from Alexandre Dumas or Théophile Gautier, classic theater plays by Racine, Corneille, Edmond Rostand or Victor Hugo. Marais was une force qui va, a force that could quote Victor Hugo (Hernani). A force of nature who introduced generations of teenagers to the poetry, the ravishing quest of beauty and the incestuousness of Jean Cocteau. He became the ideal mature lover in the 50s. He incarnated the handsome, noble father, from whom young girls had to fly away to look for love, thanks to Jacques Demy. 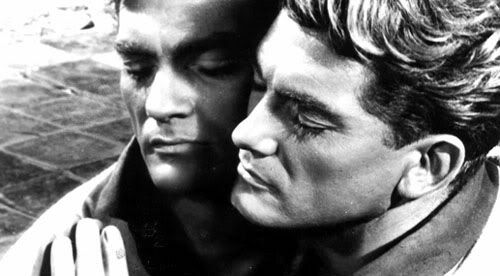 Every French person might well have his/her own inner image of Jean Marais. He could make fun of himself. 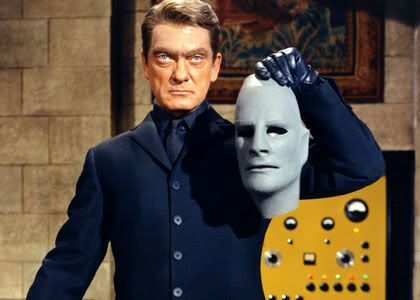 He played an evil green-skinned Fantomas, but unfortunately refused the part of the killing monk in The name of the Rose, Jean-Jacques Annaud's film. He had many faces, man/god, ancient/modern, lover/brother/father, artist/muse, actor, sculptor, etc. The fragrance the male, created by Jean-Paul Gaultier, might well be an homage to Jean Marais. He played in about 90 movies; eight TV series, 30 plays: his beauty and energy never faded, unlike Alain Delon's, like Burt Lancaster's. Like Lancaster, he played for Luchino Visconti. 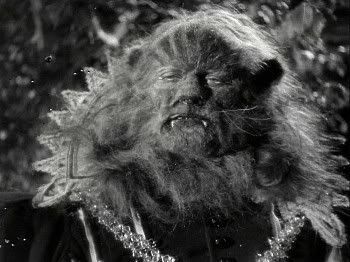 Lets be honest: impossible to imagine him as Il Gattopardo, Burt Lancaster imposed himself on Vischotni for that film, as well as in Gruppo di Famiglia in un interno and so did Dirk Bogarde in Death in Venice, though the role of Gustav von Aschenbach was firstly proposed to Jean Marais. Jean Marais is born in Cherbourg (ancient port-town immortalized by Jacques Demy in Les parapluies de Cherbourg) on December 11, 1913. His parents separated and his mother moved to Paris with him and his brother where she left them alone for long periods of time (she was often in jail, as he learned later). She was a shoplifter, kleptomaniac and mythomaniac. He wrote later that she was always playing a part. First inspiration? He was expelled from school for having masqueraded as a girl and flirted with a teacher to amuse his friends. He followed theater courses and worked at various jobs (newspaper boy, photographer, sketch artist) till 1933 when Marcel L'Herbier offered him a small part in a film, then several others. In 1937, Jean Marais saw several drawing by Jean Cocteau and was stricken as they reminded him of himself. He managed to meet the poet, novelist, dramatist, designer, playwright, filmmaker, painter. Cocteau was 48 years old, Marais was 24. As the second said, I was not a gigolo, I was an arrivist (go-getter). They fell in love, and started a relationship and artistic collaboration that would last a long time. In 1943, Marais his big break in mainstream cinema, appearing in Jean Delannoys 1943 film L'Éternel retour (after a personal recommendation from Cocteau, who wrote the scenario). This was the start of a film career which was to span nearly sixty years. During Nazi occupation, the Germans tolerated the Cocteau-Marais notorious couple. Marais testifies he had no sympathy for them. He had a street fight with the collaborationist critic Alain Laubreaux, who attacked Cocteau's play La machine à écrire in the pro-Nazi paper Je suis partout. It seems Cocteau required an intervention of his friend Arno Brecker to prevent any legal suit. 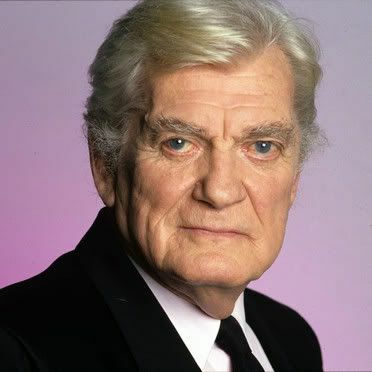 Jean Marais said he tried to join the Résistance, who refused his help because of his interest toward boys, and his difficulty to keep quiet. He still joined the army of the general Leclerc after the liberation of Paris. François Truffaut decided to make Le dernier metro (1980), about the theater world under the German occupation, after reading Marais memoirs. In the immediate after-war, Marais starried in several movies, including five directed by Cocteau: La Belle et la Bête (1946), LAigle à deux têtes (1947), Les Parents terribles (1948), Orphée (1949), and Coriolan (1950). He was admitted into the Comédie Française, the French national and permanent theater company, founded in 1680, as actor, director and decorator; but soon would leave it, after a dispute with the director of the institution. La Belle et la Bête and Orphée made his legend and confirmed for eternity his timeless romantic aura. He is the Beast in the first one: a lion king living in a magic palace, saved/revealed as human by a blond beauty. In the second, he's Orpheus, king of poets and lover of Eurydice. He discovers the kingdom of the death, following the princess of death (Maria Casarès) and her chauffeur through a mirror after the death of Eurydice and the poet Cégeste. The kingdom of Hadès is inspired by bombed cities at the end of the WWII; death's agents by the Gestapo; the language heard on the muse/radio by the codes used by the resistance. Orphée falls in love with the Princess, who falls in love with him. The movie is a B&W surrealistic delight. In the 50's, Jean Marais left Cocteau (for the dancer Georges Reich), though they would remain close til Cocteau's death in 1963. Marais would star in the last film of the Orphée trilogy: Le Testament d'Orphée(1959). He also collaborated with such famous French directors as Marcel L'Herbier, Maurice Tourneur, Sacha Guitry, Jean Delannoy, and Christian-Jacques. He played in 3 other movies by Sacha Guitry, and often for Christian-Jacques. Amongst the most famous international directors who used his talents, one notices Georg Wilhem Pabst (La maison du silence, 1952), Jean Renoir (Elena and her men, 1956), Luchino Visconti (Le notti bianche, 1957), Abel Gance (Austerlitz, 1960), Jacques Demy (Peau dâne, 1970; Parking, 1985), Claude Lelouch (Les Misérables, 1994), and Bernardo Bertolucci (Stealing Beauty, 1995). But the key of his long-lasting success is the swift turn he made from romantic parts to adventure movies. He incarnated popular heroes : Edmond Dantès in The Count of Montecristo in 1954; Henri La Tour in La Tour, prend garde (Georges Lampin, 1957), Henri de Lagardère in Le Bossu (André Hunebelle, 1960), François de Capestan in Le Capitan (id. ), Le Capitaine Fracasse (Pierre Gaspard-Huit, 1961), d'Artagnan in Le Masque de fer (Henri Decoin, 1962) He's also Fantomas in André Hunebelle movies (from 1964 to 66), and Simon Templar in a French version of the Saint (Christian-Jacque 1965). The handsome actor liked to wear masks, or to play a double part: beast and prince, angel and devil (Fantomas), lover and father (Peau dâne), hero disguised in hunchback (le Bossu), beautiful soul hidden by a ugly face (Cyrano de Bergerac). Unconscious of his beauty, or embarrassed with it? He wrote his mother didn't find him handsome. Incarnating so many characters might make it hard to have one image of Marais. One might prevail, though: an image of king. King of poets (Orphée), king of knights (d'Artagnan), king of thieves (Fantomas), king of France (François the First, Louis the XV two of the few attaching kings we had) for Guitry; king-father or god of the underworld for Demy, god Mars in Lenlèvement des Sabines (Richard Pottier, 1965), Oedipus, Ménéstée, etc. As a Roman emperor, he was chosen by Cocteau, who pushed him vainly to marry an actress to have a child (he himself failed to have one with the Princess Natalie Paley, daughter of a Romanov grand duke), and he adopted the man he wanted to be his inheritor. His true legacy is an immortal, mythic visage onscreen, one which magically never ages. He belongs to all of France and anyone with a poetic soul, a true beauty that transcends age, sexual orientation, and language, now and for all time.